We break down the best ways to optimize your pricing including localizing currencies, A/B testing and the other factors that will strengthen your pricing strategy. 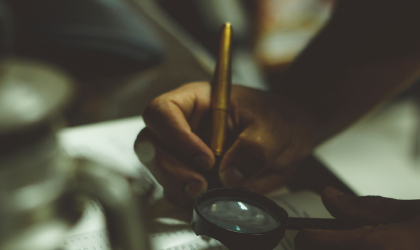 Your pricing is made of many factors but should always be constantly evolving, we wanted to spotlight some of the additonal aspects that’ll advance your overall reach. 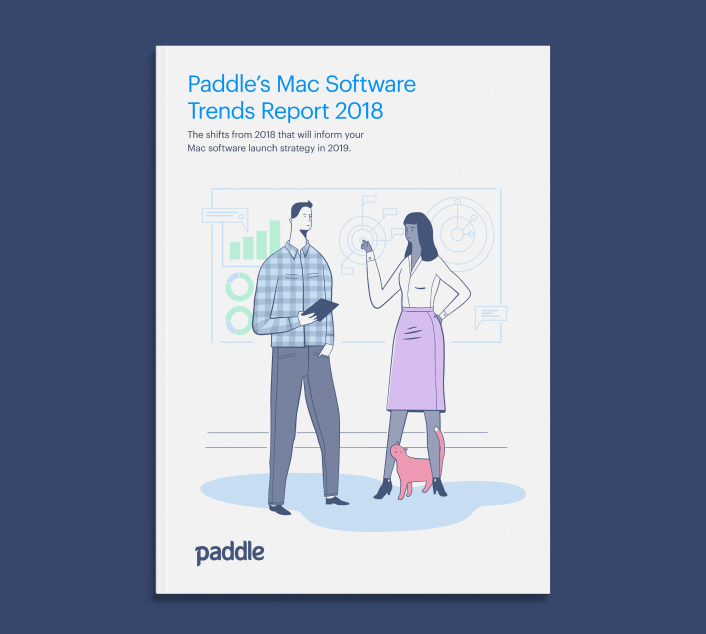 We’ll be using practical insights gained from companies who’ve launched a new major version and those who’ve expanded into new territories, demonstrating how they grew from implementing these strategies. Other factors we’ll examine include grace periods for upgrading, as well as tiered upgrades you can offer existing customers. Let’s start with localized pricing. A situation where over/under pricing can be very common is when you’re considering localized pricing. You may feel like you’ve mastered pricing in your home territory, but what happens when you expand globally to both emerging and mature markets? With conversion rates as much as five times higher or lower depending on where you choose, you really have to tailor your price to the market. Localizing your software to a new territory’s currency and pricing structure may seem daunting, but being able to understand the international markets will be key to increasing sales globally. Your first step would be to find a provider with international coverage, which would take part of the extra hassle you’d encounter when organising how to expand. They should accept multiple payment methods/currencies as well as the ability to localise pricing flexibly. The next step would be to focus in on a pricing strategy. One that is tailored to the market you’re selling to. We’ve known sellers who were only offering their major currency (USD) to sell to developing countries, and were seeing steady but unremarkable sales. Pinegrow, the website building software, were seeing this problem when selling to customers in Brazil. They then decided to offer Brazilian Real (BRL), Brazil’s national currency on their checkout as well as lowering their prices to reflect what people were able to actually able to pay in Brazil - where the average income is lower than in the USA. This allowed them to acquire many new customers whilst increasing revenue, all despite the discount in price. The BRL prices that Pinegrow used were over ⅓ lower than their initial USD equivalent. Far from harming their bottom line, Pinegrow saw their sales leap a massive 177%, boosting their revenues despite the discounted rate. Knowing your customer and their buying power, is a great way to maximise conversion - especially in emerging markets. When customers buy the software, they’ll have to enter a postcode to confirm where they’re currently residing. You can check if their IP address matches up with the territory from which they’re buying from. You can of course go overboard with territorial pricing, for example Spotify has introduced separate pricing for all its territories, which works for a company of their size but could result in a headache for any smaller software company looking to expand more gradually. The best practice is to research the territory you want to expand in, looking at the currencies that people use, disposable income, local pricing of competitors, gauging the size of your industry in that market and demand. You should always offer local currency where possible (it has dramatic effect on checkout conversion), but not necessarily a local price. If you decide that would be the best option, then you can test the pricing increase/decrease and whether this makes dramatic shift in sales. That way you’ll have measurable data but also the chance to adjust. We’ve talked a lot about knowing your customer - and getting a sense of how much they’re willing to pay for your software product. Closely linked to to this is getting an awareness of of price sensitivity. It’s a concept that allows you to find how fragile to price your customer personas may be. Highly elastic customers, will be happy to roll with changes in price over time, perhaps even paying more for your product than they did before (assuming they get clear added value). Tweakbit sell anti-virus software in a very competitive market. 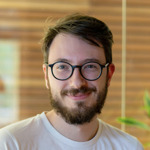 Customers buy the software to solve a particular need (my computer has a virus), but don’t necessarily have strong brand loyalty - they could be categorised as highly fragile. Tweakbit’s pricing is designed to account for this “fragile” customer type - encouraging them to view the software as a bargain. Heavy discounting, both up front and as the customer moves through the buying journey (in the form of time-based promotions) drives the customer towards a conversion, and reinforces the customer’s sense that they’re getting a bargain. Doubling down on this, Tweakbit also regularly run coupon and promotion campaigns to ensure that customers’ pricing expectations are met. Tweakbit and a company like Framer have very different customer types, who come to their products with very different needs. What’s important to take away from this is that both companies have strategically determined the right price for their specific customers, using research, market knowledge and customer insights to ensure the right prices and billing models are employed worldwide. Should I be A/B testing? Leading on from elasticity of demand, we have A/B testing which is a key way of testing how discounts and promotions perform. Using this method also allows you to see in real-time what is really resonating with your audience. 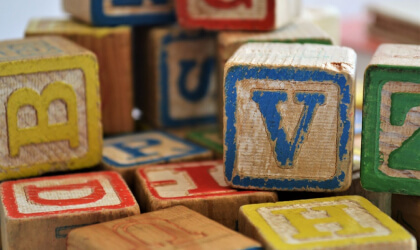 Here are examples of what we have seen companies A/B testing, with interesting results. This helps you to decide whether a discount can bring momentum in the buying decision. If people are choosing discount more frequently you may need to look at whether you’re overpricing. Instead of basic/pro, you’d have basic, pro and some sort of intermediate plan. If people are choosing certain price bands, it will illustrate whether you should modify your pricing hierarchy. A/B testing does have certain disadvantages though, such as statistical significance, whereby any statistical test needs a certain amount of respondents to ensure the test is legitimate and not just random chance (especially if you’re testing for multiple customer personas). This means that you shouldn’t drop prices instantaneously if sales are slowing down, as this may be a momentary blip before an increase. For a deeper look at the concept, check out this article. Another risk when testing is to offer different users two different prices, which might test their patience when they find out that someone has got a cheaper price for the same product. The best practice is to A/B test exclusive offers instead, seeing which part entices people more. How do I price my new version vs my current version for new customers? How do I price it for existing customers? What impact would something like intro pricing have, depending on the discount I give? This leads us into a common dilemma people have when they’ve released their upgrade; what about people who’ve bought the product just before? Should there a grace period to allow them to upgrade? At a reduced price or for free? 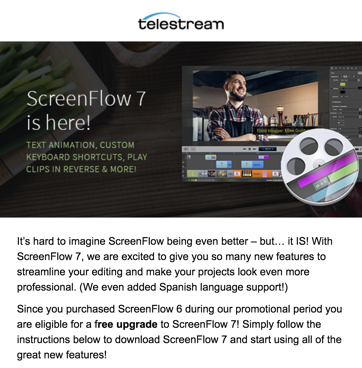 A method that worked well for Screenflow, was to offer free upgrades to customers who had purchased a previous version (within a designated promotional period). This was a great way to keep recent customers happy and using the latest version of their software. 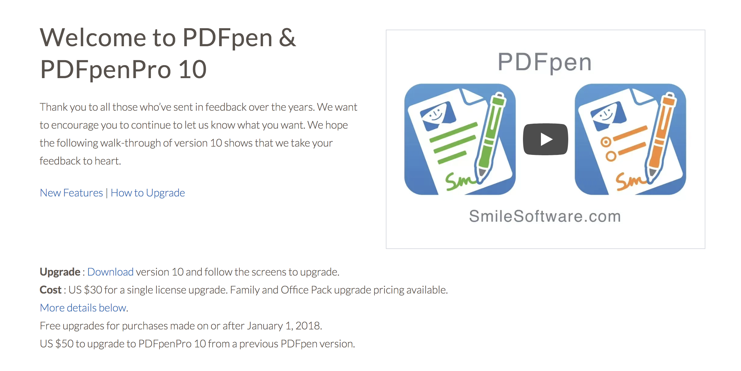 Let’s delve deeper into upgrade tiers by looking at Smile Software, who released an upgrade to PDFPen,their PDF editing software. Their method of upgrading was very user-focussed. They sent an email to their customers enticing them to upgrade via the PDFPen app. This was because the in-app experience can automatically validate their existing license and handles free upgrades automatically. 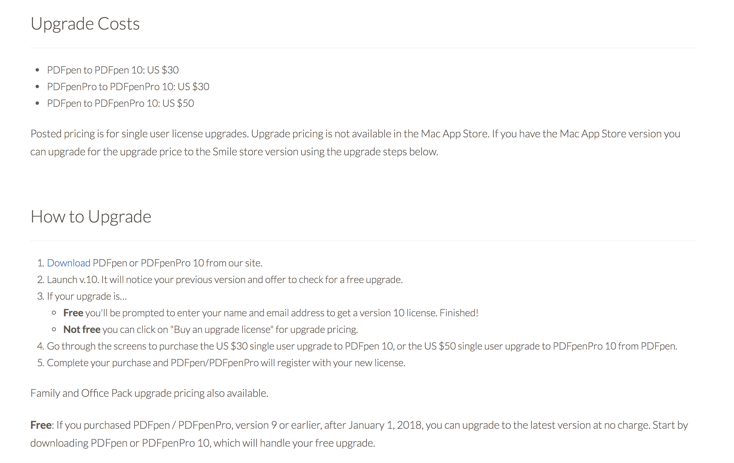 They also offered free upgrades to those who’d already bought their last version in January of that year. However, if they’d bought a version earlier than the year before, a tiered system was created to evaluate how much an upgrade from pro to pro ($30) or basic to pro ($50) would cost them. 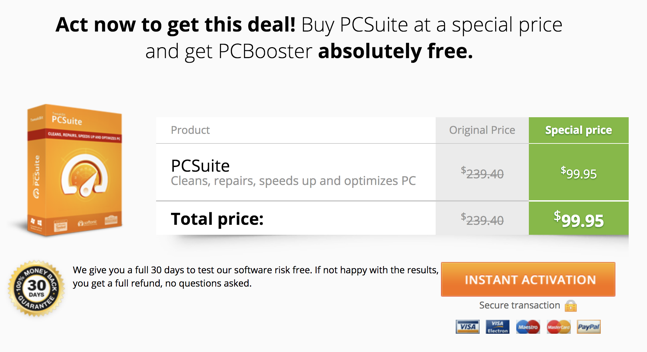 The cost of buying the software as a new user was $30. This gave clarity to existing customers, letting them see the cost of upgrading from their previous tier. Another example of a new product upgrade launch was Folivora, who created BetterTouchTool, the touchpad customizer. Folivora looked at selling perpetual licenses using a subscription style enticement model. You could pay less for a standard licence ($6.50) but not have the same amount of new features or invest in a lifetime subscription ($20.00) and gain recurring updates. The standard license was priced at less than ⅓ of the price of the lifetime. Over their launch-period 75% of their sales revenue was for the Lifetime License. This level of lifetime pricing rewards loyal customers, whilst also not neglecting customers who’d prefer a more basic version of your signature product. An interesting point here is that users were not forced to update and could stay on the version they currently have - this means that purchases so far have been made by users who are invested in upgrading and want to keep it up to date. It will be interesting to see the coming months when more of the casual users purchase a new license because they like some of the new features. Pricing will have a key impact on your launch and the overall success of your business. By implementing localized currencies, looking at your price sensitivity and how you can offer upgrade to your existing customers, you’ll gain a better grasp of how to entice them to your product. 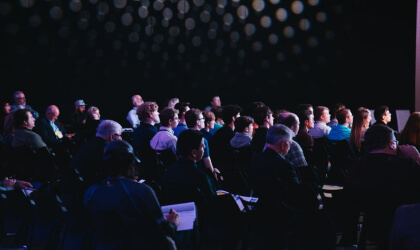 Mobilizing your audience is also key for a software launch: we’ve written extensively about this topic especially, pre-orders and internal betas as well as upgrading through email and in-app. Through this you’ll be able to mobilize existing customers whilst launching.